December 27, 1950 Varnette Patricia Honeywood, painter, writer, and businesswoman, was born in Los Angeles, California. 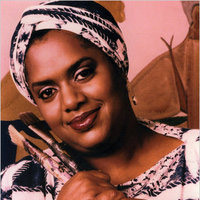 Honeywood earned her Bachelor of Arts degree in art from Spelman College in 1972 and her Master of Science degree in education from the University of Southern California in 1974. As part of a community outreach program at USC, she taught multicultural arts and crafts programs to minority children in the public schools. Honeywood and her sister founded the Black Lifestyles Greeting Card Company with cards showing Honeywood’s brightly colored portraits depicting the daily life of African Americans, the first such company specializing in black themes. Camille Cosby discovered Honeywood’s work on the greeting cards and she and her husband Bill began to collect Honeywood’s art. After that, Honeywood’s work appeared on the interior settings for “The Bill Cosby Show,” “A Different World,” “Amen,” and “227.” These paintings included “Birthday” (1974), “Club Alabam: Down at the Dunbar” (1981), and “The Groundbreaking” (1991). A recurring theme in her work is the vibrancy of Black culture despite barriers of racial oppression. Honeywood died September 12, 2010. January 9th in African American History – Earl Gilbert Graves, Sr.